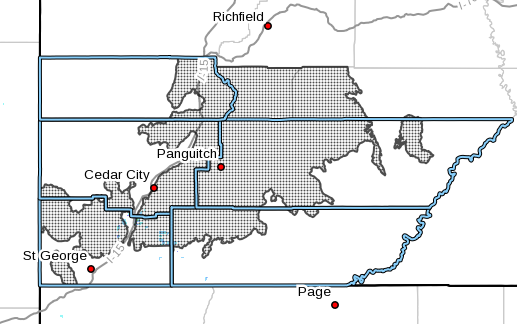 The National Weather Service has issued a winter storm warning for areas throughout Southern Utah in effect from 6 p.m. Tuesday to 10 a.m. Thursday, primarily affecting mountain routes in Iron, Washington and Garfield counties. According to the Utah Department of Transportation, a strong cold front will begin pushing into the state beginning in the early afternoon Tuesday, bringing rain showers and gusty winds across the state. As temperatures cool in the evening, rain showers are forecast to turn into snow showers in the valleys along I-15 from the Idaho-Utah border south to Cedar City, with areas of road snow and slush possible by Wednesday morning. Rain and snow showers are forecast to continue across the state during the daytime Wednesday. 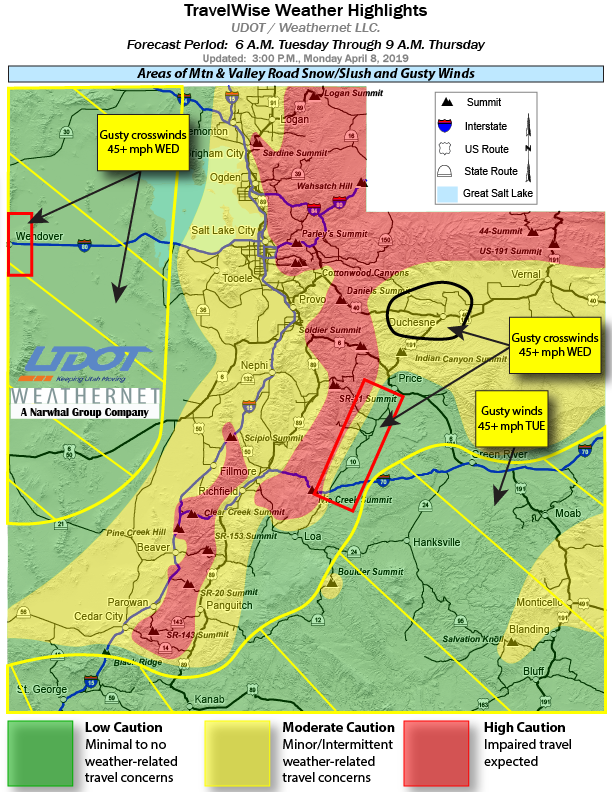 Of particular concern for drivers are mountain routes, which UDOT states will receive significant road snow, with the heaviest snow impact expected Tuesday evening through Wednesday morning. Mountain routes will likely remain wet during the daytime Wednesday, with periods of road slush possible. Snow showers are forecast to continue Wednesday night, mainly in the mountains. In addition to snow, winds are expected to be gusty across a large portion of the state Tuesday and Wednesday. In the affected areas, the National Weather Service estimates there will be total snow accumulations of 6-12 inches and winds gusting as high as 55 mph. Interstate 15, from northern Utah south to Black Ridge in Washington County, particularly from Scipio Summit to Beaver Ridge.